Aluminium windows are the number one choice for many home improvements in the UK. Why is this? Well, our windows are at the forefront of the industry when it comes to design. Aluminium windows from Sternfenster are at the cutting edge of window design. We work with Smart Architectural Aluminium, who are one of the most innovative and creative manufacturers in the UK. This means that the windows that we offer are outstanding, combining contemporary style with state of the art technology. You may tend to look for uPVC when choosing new windows, but aluminium windows are an outstanding and incredibly modern alternative for both modern and traditional homes. These windows are stylish; there is no doubt about it. 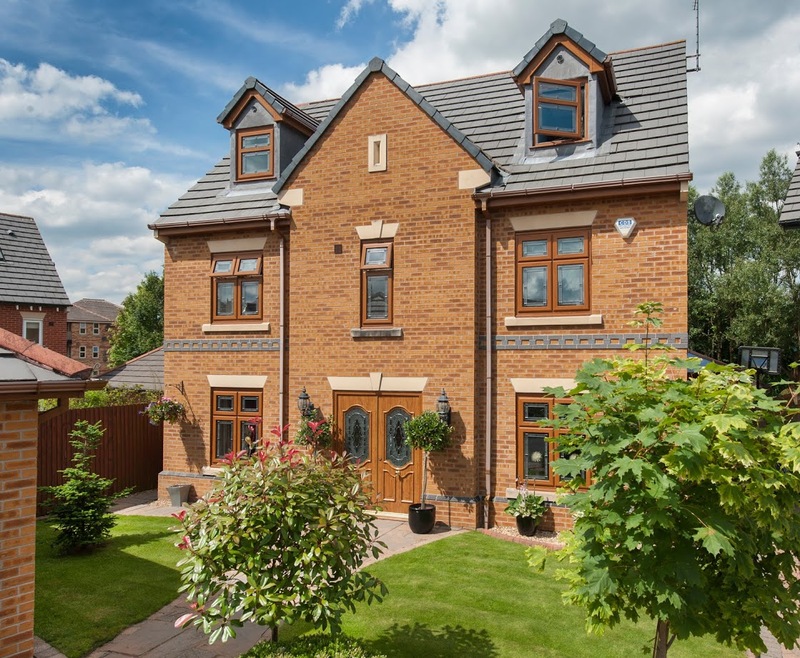 They have a slimline frame that complements so many types of property in the UK. The unique strength that is central to the aluminium material means that the profile can be manufactured to be slim and sleek. 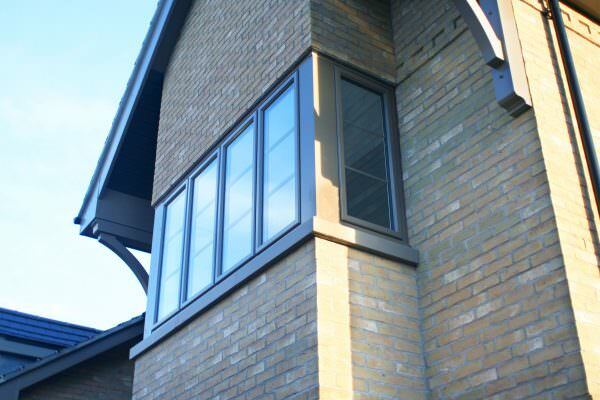 Aluminium window styles are adaptable to any home. There are so many options to choose from when you choose the Sternfenster range. This is because they are created using Smart’s design, meaning there are several options available. Your clients will be spoilt for choice with aluminium windows from us, and they will be completely won over by the range of details that they can customise. 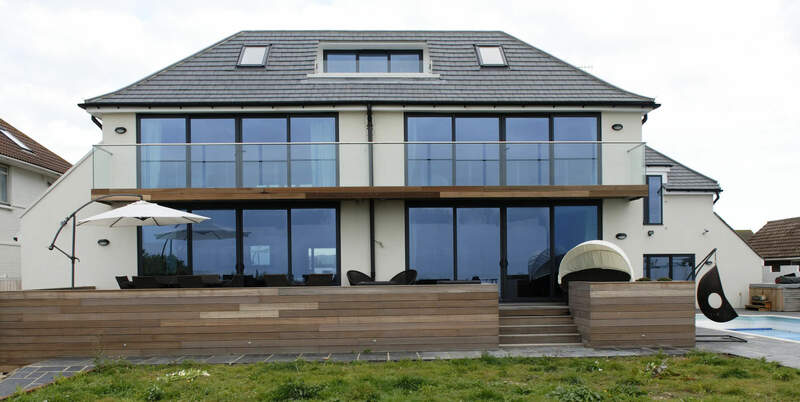 These impressive aluminium windows can be tailored to suit their vision of replacement double glazing, making their home improvements completely unique. Aluminium windows can be completely personalised your tastes and preferences, whether you want letterbox red frames or pastel pink, we’ll be able to accommodate. 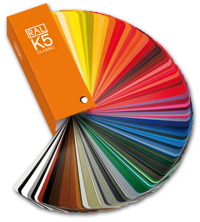 There are countless RAL colours available for your customers to choose from. Every possible shade and tone are available. Nothing will please your customers more than their perfectly personalised windows. We even have a fantastic range of bespoke colours. These luxury options are ideal for heritage windows, as well as adding an element of traditional authenticity to your building project. Our aluminium windows also come with other customisable options too. Maybe your client wants privacy glass, or perhaps they would like decorative glass to add a feature to their home? This can be easily provided. Just show them the vast array of options and let your customers pick out the right one for them. 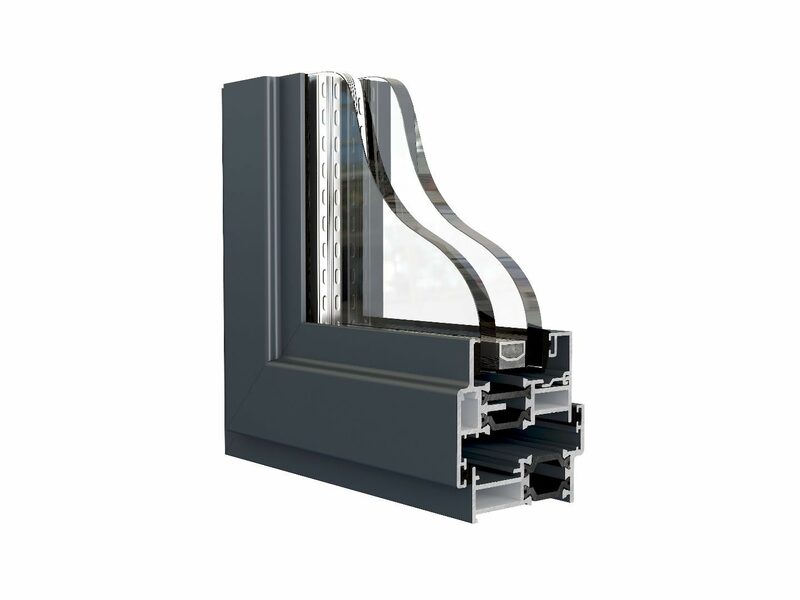 We even offer hardware and accessories to complete the finish of our aluminium windows. No detail is left unchecked. Can aluminium windows suit any home? We believe that with our cutting edge aluminium window designs, there is truly something for everyone. Let us summarise the key aesthetic features of our aluminium windows range before moving on to the technical specifications. Nothing will impress your neighbours more than high quality, beautiful aluminium windows. Aluminium windows can be effortlessly enhanced with stylish features, and our Alitherm 600 range offers an extensive range to do so. They are constructed with an ovolo finish of the external edge of the sash and outer frame. This means that not only can they offer a lovely look for residential properties, they are also great for commercial use too. You can opt for the traditional casement style, which draws on the classical timber window for inspiration, or a modern, streamlined style, perfect for contemporary homes and light commercial properties. It all depends on the style of property you own and your own personal taste. 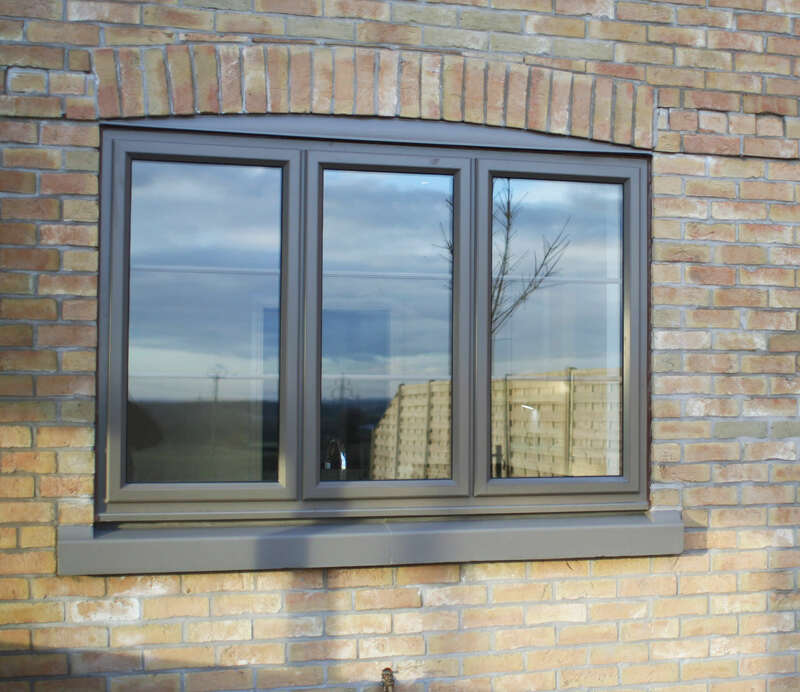 The Alitherm 800 aluminium windows range is a similar option to the 600 range. However, it has a slimmer width which gives it a more streamlined appearance. This stunning style of window is sure to satisfy, as they provide the maximum glazing area possible to ensure light pours into the property. These gorgeous windows are the perfect replacement option for old steel frames, giving an authentic look that is fully in keeping with modern design. You may have a period home, but this does not mean that you can’t benefit from the aesthetic and performance of aluminium windows. Our windows in the Alitherm Heritage 47 range are impressive across the board. They are the absolute perfect choice for heritage upgrades, refurbishments and renovations. They can even, with approval, be used in listed buildings as well as replica refurbishments where planning has to be taken into account. They are a simply stunning authentic aluminium window that can be used in any replacement double glazing job. Aluminium windows are a brilliant choice for safety and security. In the case of aluminium tilt and turn windows, these features are truly spectacular. 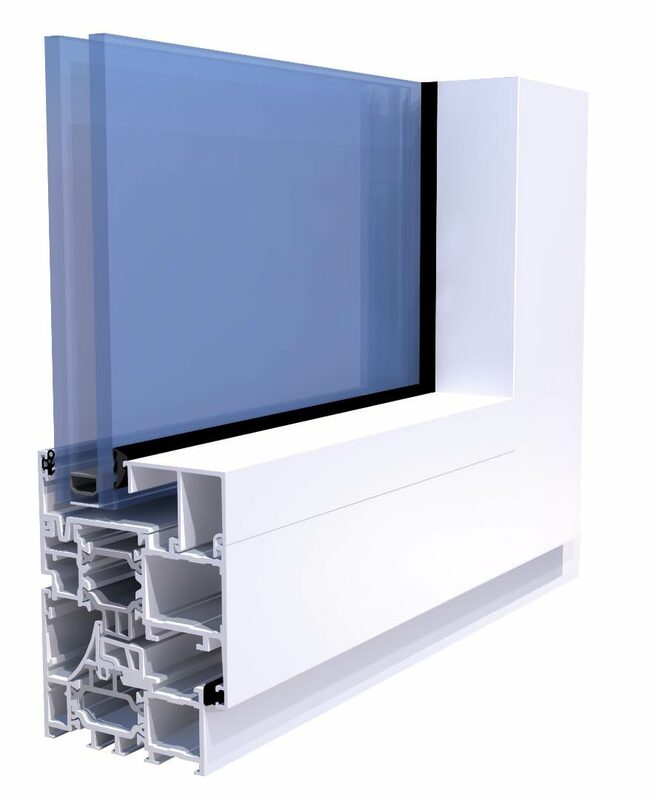 We supply the Eco-Futural profile from Smart, one of the most energy efficient options on the double glazing market. It is styled with all the simplicity and attractiveness that you would expect from our aluminium windows. However, the real beauty of these windows lies in their multi-functionality. Aluminium tilt and turn windows are perfect for upper floors and high-rise properties, anywhere that is hard to reach or needs easy access. They function as windows, of course, but also can be used as an emergency exit. The intelligent design enables them to lock in place in the tilt position, giving you completely safe ventilation, and then, at the touch of a button, they can be opened wide for easy cleaning and access. These truly versatile windows are incredibly functional and innovative in design. Aluminium windows are at the cutting edge of window design in the UK when it comes to modern living. Clients want to know that their homes are protected from outside elements, be that the weather or intruders. You can really put their minds at rest when you offer our aluminium windows because they are constructed to the very highest standards using the most innovative construction. Take a look at their unbelievable technical specifications! 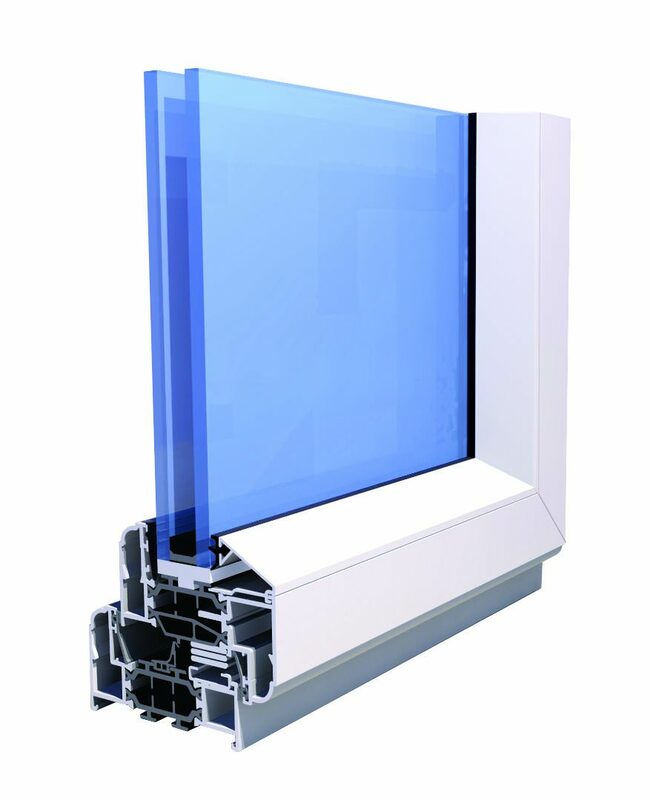 Aluminium windows from our range at Sternfenster offer U values from 1.3 to 1.0 w/m2k. This guarantees outstanding levels of thermal efficiency. These impressive figures are due to the revolutionary design from Smarts. They have a polyamide thermal break, which is exclusively designed to create a barrier between the cold air outside and the warm air inside, significantly reducing thermal transmittance. 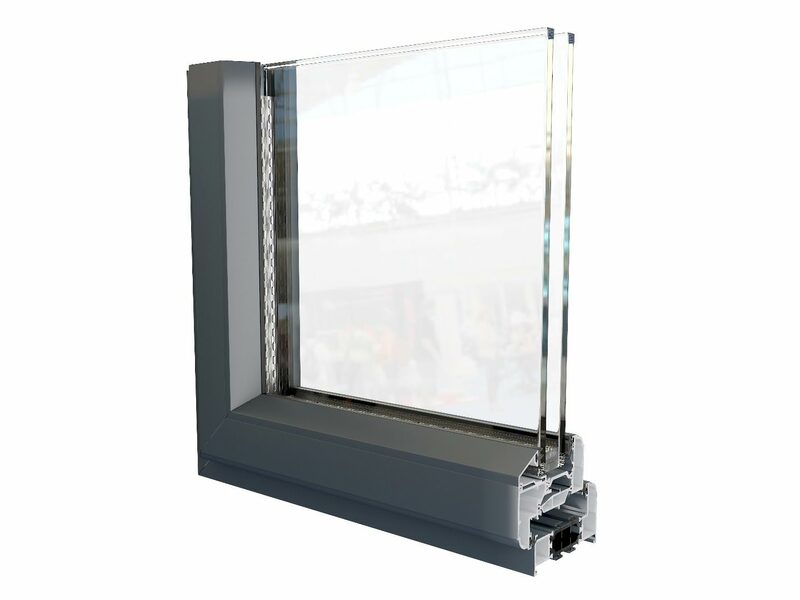 Our aluminium windows are designed to meet the demanding requirements of Document L 2010. They have ultra low U-values when fitted with our quality double glazing. You really can’t find better performance when it comes to energy efficiency in the UK. Aluminium windows are one of the most secure options for double glazed windows in the UK. The incredible strength of the aluminium material is second to none. You will be able to give your clients confidence in their home protection with these double glazed windows. Boasting exceptional standards of inherent strength and robustness, aluminium windows offer outstanding levels of home security. Any would be intruders will be successfully deterred by this standard, guaranteeing absolute peace of mind. They are also available internally beaded, so the glass cannot be removed from the outside. Choose high-security locks to complement these features, and you will be installing aluminium windows with unrivalled security. Aluminium windows are one of the most durable window designs in the UK. 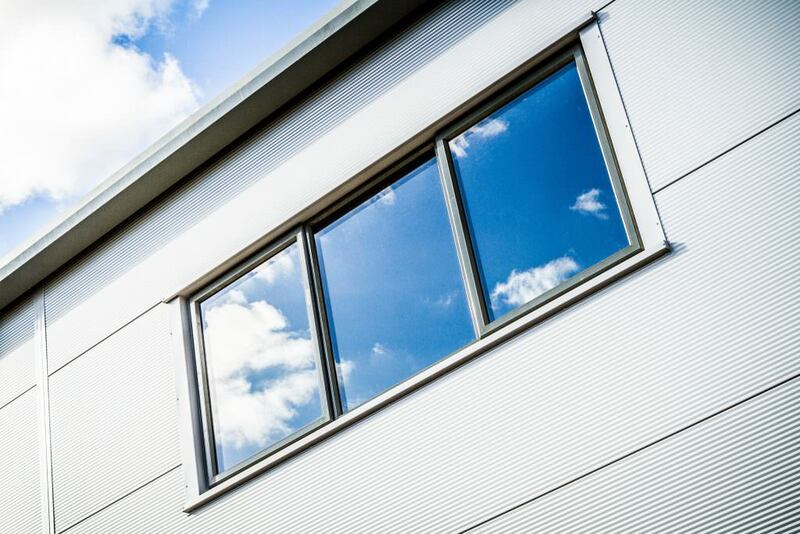 When you choose aluminium windows, you will benefit from a product that will never warp, rot or fade, and will achieve exceptional performance year after year. Aluminium windows are easy to maintain too, all that will ever be needed is a gentle wash over to keep them in great shape. Just keeping them clean will ensure that they will operate to the highest standards for many, many years. Our lead times are short. 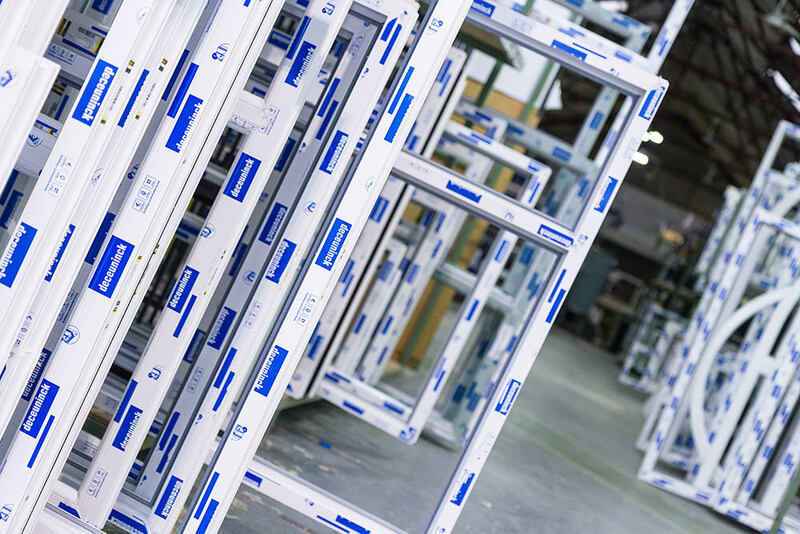 We will fabricate your aluminium windows quickly and efficiently, enabling you to keep your project on track. We know how important, trustworthy delivery times are and we focus on meeting your needs. Our aluminium windows come with a 10-year guarantee on the finish. We know that the colour finish will never blister or fade, so we give you a guarantee that you can share with your clients. It’s our promise to you that our quality is exceptional. Aluminium Windows – Prices to Benefit You! With our aluminium windows prices, you can guarantee you enhance your home at highly competitive prices. We keep our windows prices as low as possible to keep things affordable, find a double glazing installer in your area of the UK and get your free aluminium windows quote now!